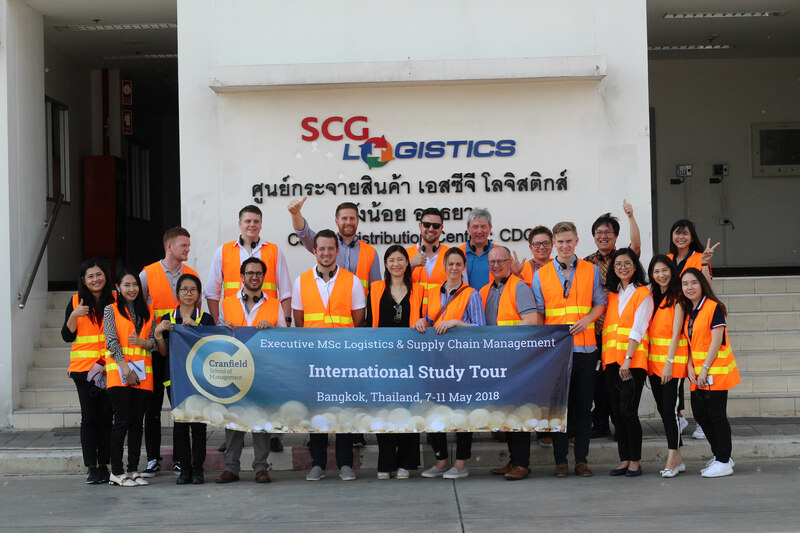 After the excitement of the morning’s visit to one of SCG’s limestone quarries we headed down to the CDC of SCG Logistics. 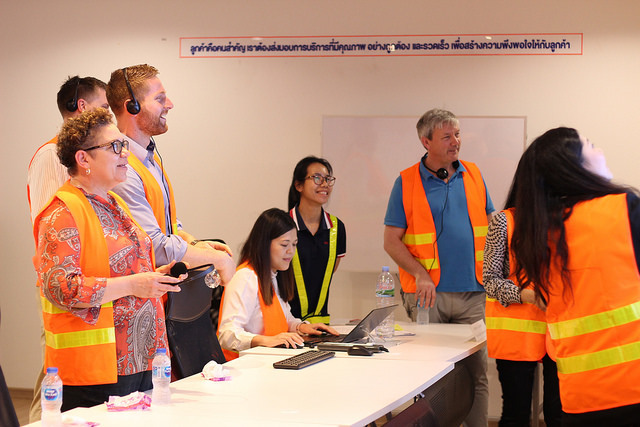 We are all familiar with arriving at warehouses, DCs and plants and just how much you can tell about the operation from the first impression. The cleanliness of the site, the efficiency of the smartly-dressed security personnel, the health and safety signage, all promised that this was an operation that ran like a Swiss clock. 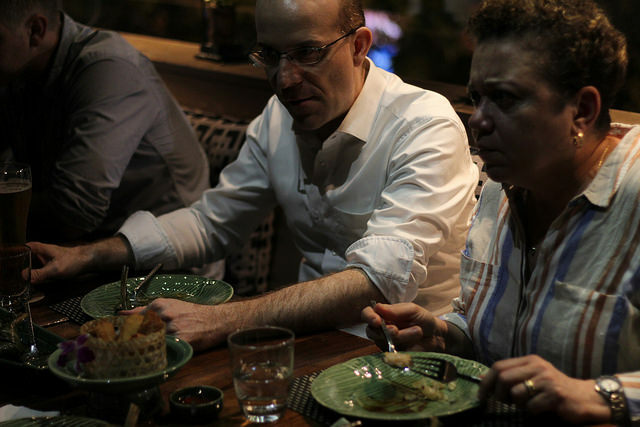 The reason became clear as soon as we were introduced to the team who were to present and be our guides. Learning that SCG had fielded not one but three Cranfield alumni to look after us was like the cuckoo coming out of the clock. We were now wide awake (despite the rather late night previously) and fully aware of what kind of operation this was going to be. Like children on a sugar-high we eventually settled down for the presentations. We knew that this was a great opportunity to learn, a great opportunity to see theory in practice. We were not disappointed as an early slide showed the role of “Centre of Gravity Analysis” in determining the location of the facility which was built only three years ago. 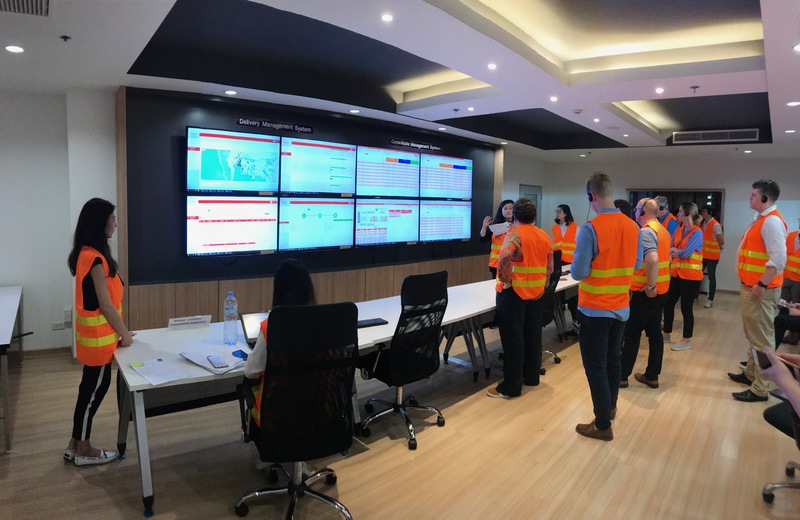 Not surprisingly, the presentations were professional and well-prepared and gave us a factual insight into a fabulous operation in terms of workflows and layouts and product mixes. 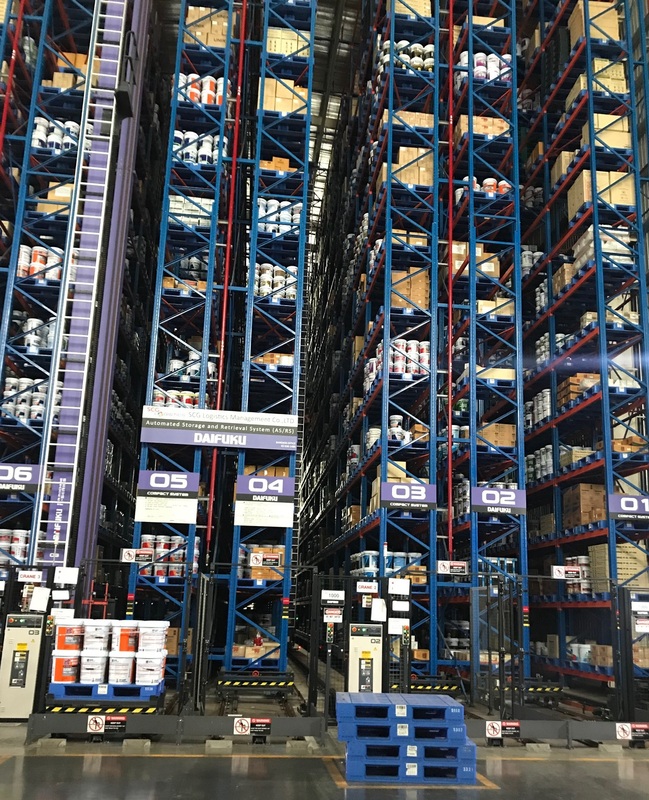 The tour of the facility confirmed what we had been shown, including the selective racking, bulk floor storage and the ASRS system. 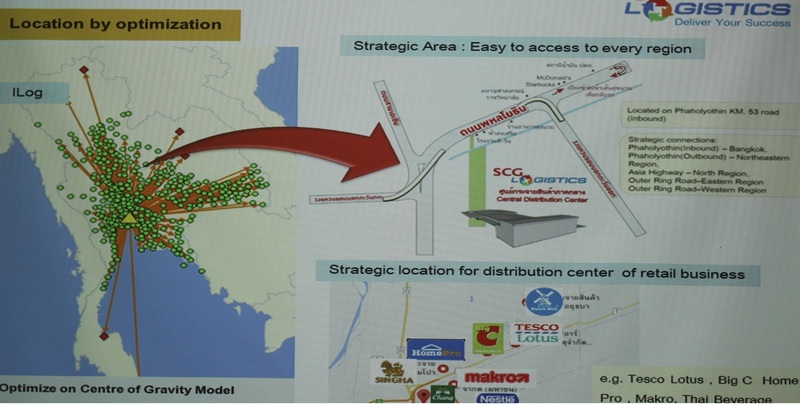 The facility is a cross-docking consolidation centre and what SCG has created here, is significant added value through the provision and consistent, ongoing delivery of management expertise. 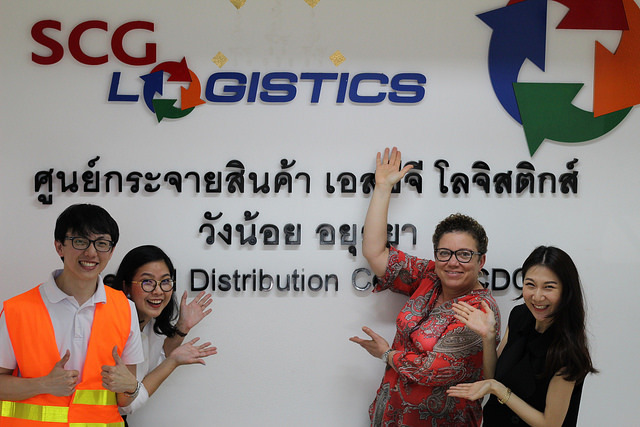 Just fifteen SCG staff facilitate over 150 third-party employees and a like amount of outbound vehicle movements by external carriers, every day. That the majority of those fifteen staff are female is a testament to SCG Logistics which is evidently an exceptional company. This could not have been made clearer than by the revelation that the team had received the Deming Prize for its total quality management system; the first time that the award has ever gone outside Japan. SCG is a no-nonsense, hard-nosed business that lives up to its “delivering your success” slogan. It is therefore surprising that I don’t believe that this will be our fondest, lasting memory of our visit. Rather, I believe we will forever treasure the warmth of our welcome and the total awareness and concern for our comfort as demonstrated by such thoughtful acts as arranging cold towels as the heat in the warehouse took its toll. Thinking back, the only time our hosts stopped smiling was to earnestly confer to ensure their answers to our questions were correct and comprehensive. Our colleague Kai presented a small token of our appreciation and would have happily spent more time but it was time for us to head off and reflect on the trip; special for so many reasons.